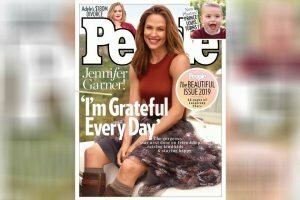 A city in Cambridgeshire is to become the first in the UK to go plastic bag-free. 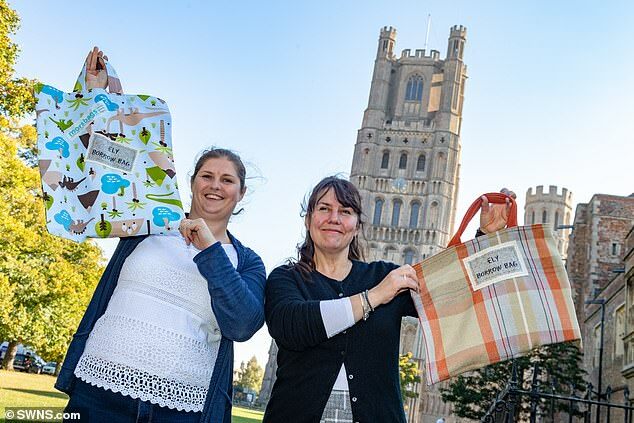 The tourism board in Ely has launched a ‘borrow bags’ scheme that will encourage its 20,000 residents to scrap plastic and make reusable bags from old fabric. Bags will be given out to customers for free, where they will ‘borrow’ bags in the city centre and pass them on to keep them in circulation. Local shop owner Lesley Partridge first sounded out the idea to recycle fabric bags in a bid to make the city more eco-friendly. The city hopes to have more than 500 bags in circulation by Christmas. 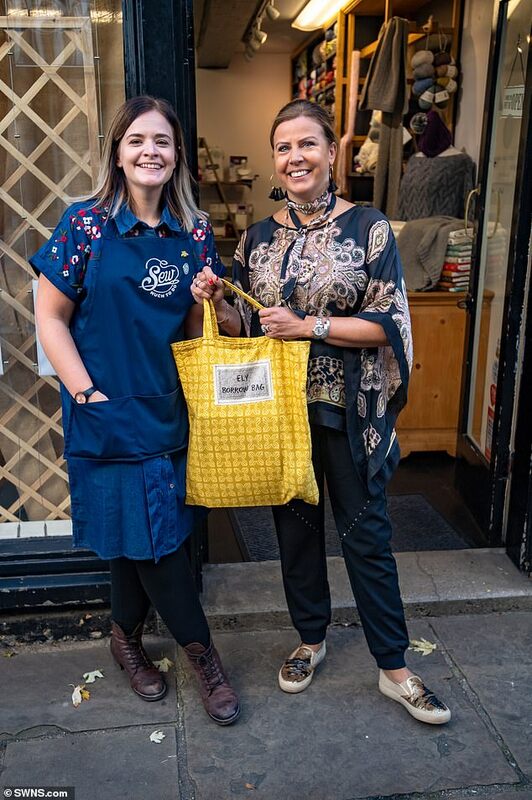 Ms Partridge, owner of Sew Much To Do, said: ‘Paper bags are easier to recycle but they’re expensive for small traders to buy, so these fabric bags are more environmentally and economically friendly. Bag-making sessions have also been organised by Ms Partridge to help residents reduce their plastic consumption. Ely has joined the national Morsbags initiative which asks volunteers around the country to donate fabric. All the bags will have the ‘Ely Borrow Bag’ logo, a Morsbag tag and each bag will be added to the national tally. Tracey Harding, tourism, town centre and events manager for Visit Ely, said: ‘This is a fantastic initiative and we really hope local people and businesses will become involved. 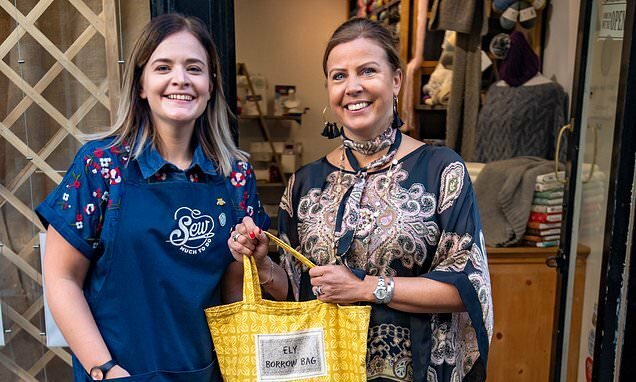 ‘We are extremely grateful to local shop Sew Much to Do for co-ordinating a series of group sessions which will kick start the project and make Ely another step forward to becoming a plastic-free city. Ms Harding added that the city’s modest size will help its bid to be a plastic-free city centre. The Governemnt has tried to clamp down on the country’s plastic consumption. As part of the drive, Theresa May announced plans to increase the levy on bags from 5p to 10p. She has also promised to erdicate all avoidable plastic waste in the country by 2042.